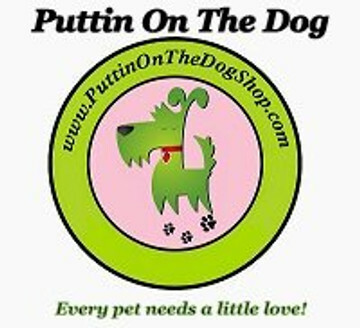 Thank you for choosing to shop at PUTTIN ON THE DOG. If you are not satisfied with your purchase, we’re here to help. Please read through our return and fund policy stated below. You have FOURTEEN (14) calendar days to return an item from the date of receipt of your original order. In order to be eligible for a return, your item must be returned unused and in the same condition as you received it. The item must be returned in its original packaging and requires the receipt or proof of purchase. Once we receive your item, we will inspect it and notify you of the status of your refund after inspection is complete. If your return is approved, we will issue you a refund of back to your original method of payment. You should expect to see the credit within 5-7 business days from the date the refund is issued, depending on your card issuer’s policies. You are responsible for shipping the item back for a return. Domestic Shipping: Shipping & Handling charges, as detailed below, will apply to shipments within the continental United States. FREE SHIPPING only applies to shipments in the United States ONLY. Sorry, we do not accommodate COD shipments. International Shipping: After placing your order through your PayPal Account and marked OK to Ship and the Payment Status: Complete, the Shipping & Handling charges will be quoted via email and must be prepaid through your PayPal Account. All items are shipped via USPS Priority. UPS and Federal Express are available upon request. Shipments to PO Box address will only be shipped via USPS. These shipping methods provide tracking. Orders may take 1-8 business days to be shipped from us directly, or in some instances, the manufacturer. After an order has been shipped, it will be delivered to it's destination within 2-6 business days. Therefore, any order placed through our online e-boutique can take up to 14 days to be received as stated in the product description, order confirmation page and on your credit card receipt. Many custom made orders will take up to 2-6 weeks after receipt of your order to be delivered. Any item ordered that is custom made will be billed at the time of your purchase to secure your order. Please refer to the product listing for further expected delivery times set forth with each product. If we or the manufacturer cannot ship within that period or their will be a delay, we will notify you by email or you may sign into your account to see the status of your order. Please take note if an order is on a "pre-order" status, payment must be made at the time of the purchase to secure your order. Most parcels reach their destination promptly and without incident. Please understand that we have no control over delivery day or delivery time, once the parcel is turned over to the carrier. Therefore, we are not liable for any lost or delayed packages. Additionally, our boutique disclaims any and all liability for the carrier failing to adhere to delivery days and times. However, if any incident does arise, please call our boutique and we will help you locate your package through the carrier. The estimated delivery days indicated above are based on business days. A business day is Monday-Friday, excluding holidays, unless otherwise indicated by the carrier. Rates are on USPS PRIORITY SHIPMENTS for over sized and/or overweight items. All parcels ordered and shipped directly from our boutique or any of it's manufacturers/designers will incur a flat rate shipping charge. Please note that these rates are only applied to items under 5 pounds and are not considered overweight or over sized. If an item is overweight or over sized, it will be noted in the product description of the additional amount that will be applied to your regular standard shipping charge noted below. Any item that is considered "over-sized" or "over-weight" will incur an additional shipping surcharge fee (per item) in addition to our standard flat rate shipping fee. This additional fee is stated in each product description; should there be one. This fee covers the added cost of the freight fee that is charged to us for the large/heavy item(s) being shipped by the carrier. Sales Tax: By law, merchandise and Gift Certificates shipped to a Florida addressed or purchased by a Florida resident are subject to sales tax.